I am a big fan of apps that help make healthy living easier. I was recently contacted by fellow registered dietitian Lara Felton to try out the app called ShopWell. I had not heard of it before but enjoyed learning about it and trying it out. I think that it could be a helpful asset to healthy eating. ShopWell is a free mobile app available on iOS and Android. They also have a website with helpful information. They help shoppers make healthier food choices right at the grocery store based on their nutrition goals. This app is created by a team of dietitians and engineers. To use, you input your age, gender and goals. The app rates foods so that you know which ones are the healthiest choices for yourself. The higher the score, the better the food product is based on your goals. The foods with less ingredients that are also less processed receive the higher scores. 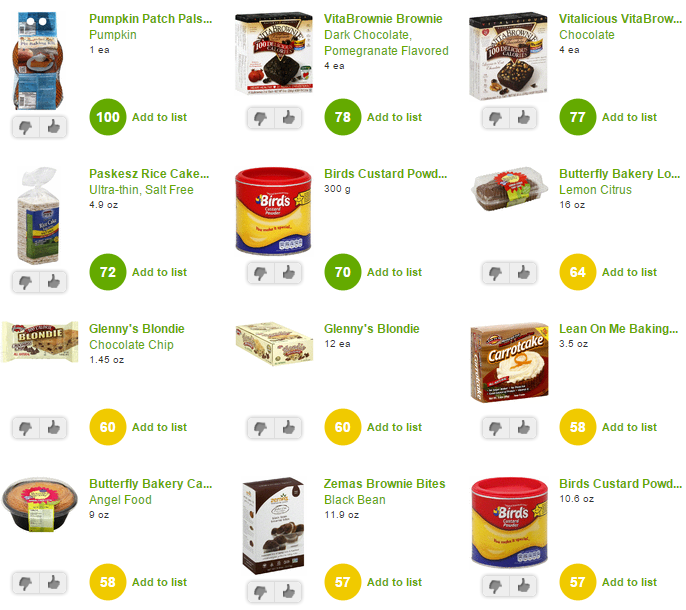 Foods are rated with scores of 0-100. 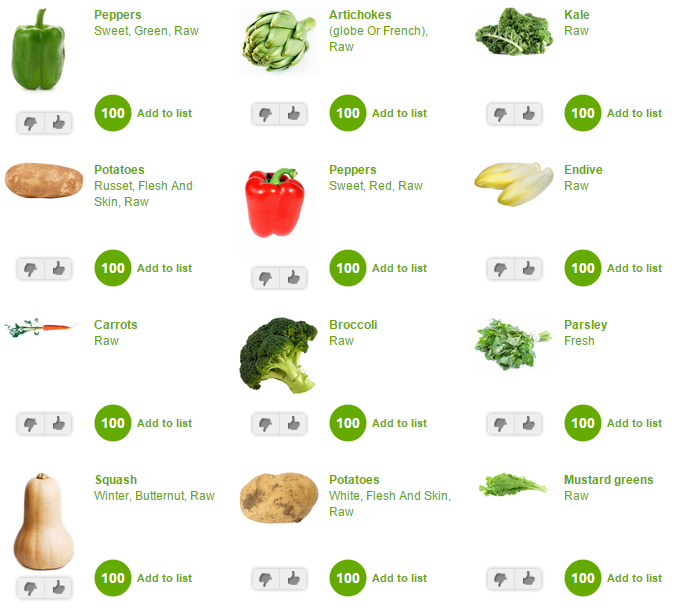 For example, peppers, broccoli and butternut squash all score 100 because they are so nutrient rich. Desserts like Little Debbies cakes only score a 12 because it is not very nutritious. To me, a score of 0-100 is one of the easiest ways to see which foods are the best for you, especially when it comes to processed foods. I would use this app when it comes to foods such as jarred pasta sauce, cereal and breads to see which are the very healthiest. They make healthy eating a lot easier! I know it can be difficult choosing which item is the healthiest in the grocery store and this makes it simple. Also, they have a stoplight system to help users know which foods are a good match to eat often (green), eat in moderation (yellow) and only eat every so often (red). 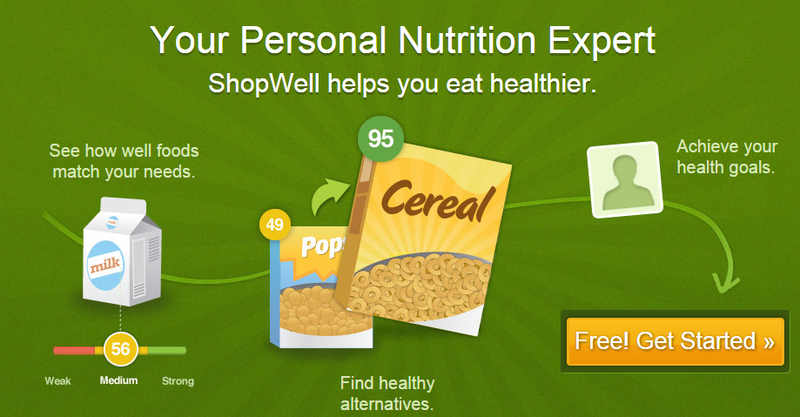 ShopWell gives recommendations for products that are a healthier choice. You can sort items to see which are the healthiest in that category. For example, if you want dessert, you can look at which desserts are the best choice. I am impressed by the ShopWell app and have added it to my phone. The website is also helpful and I would recommend this to consumers. Disclosure: This post is sponsored by ShopWell. All opinions are my own. That is a great system! Clear and easy to use. I'm going to start recommending this app to my clients.